Kaboom! 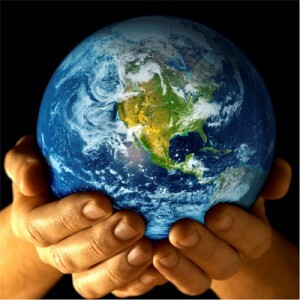 And a Happy Earth Day to You, Too! It may be a tad early to assess the political impacts of the explosion and sinking of an BP oil rig off the coast of Louisiana, but it seems safe to say that the horrific images of the disaster won’t speed up the cause of the controversial Tranquillon Ridge project in California. The strange bedfellow alliance among and between Governor Arnold, several Santa Barbara environmental groups and the Houston-based oil company PXP recently re-launched their effort to resurrect the project, after it was turned down by the State Lands Commission and the Legislature last year. 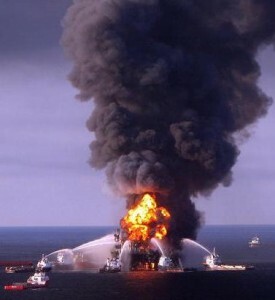 Now, the metastasizing oil spill*** in the Gulf of Mexico, and the apparent loss of the lives of at least 11 oil workers that followed a blow-out on a rig on Tuesday night – Earth Day – provide a sudden and grim reminder of the high stakes of offshore drilling. The T-Ridge plan calls for the lands commission to award PXP a lease to drill in state waters, the first since the 1969 Santa Barbara spill, from an existing platform in federal waters. Environmentalists on both sides of the internecine warfare over the issue insist that their position represents the best way to prevent more spills like that now engulfing the Gulf. In the move that split old alliances and fractured California’s environmental community, local groups in Santa Barbara have pushed the T-Ridge plan as a way to trade more drilling in the short run for less in the long run, exchanging their political support for a PXP lease to slant drill into state waters for the oil company’s legal promise – which they insist is ironclad – to cease all drilling from four federal platforms in the area within 14 years. Amid all the political, legal and financial wrangling over the issue for the past two years, it’s hard to imagine a more powerful argument against drilling than that presented by pictures of firefighters vainly battling the deadly and violent blaze that sunk the oil rig. It’s worth noting that the T-Ridge platform is located just over three miles from shore, far closer to land than the Deepwater Horizon rig that sank about 50 miles off the coast of Louisiana. Many backers of the governor’s proposal have argued that oil drilling operations have undergone huge technological advancements in the past 40 years, making unlikely a massive spill like that poisoned the Santa Barbara Channel in 1969. Among those who have embraced the technology-makes-it-safe argument are Republican wannabe governor Steve Poizner and his front-running rival, Meg Whitman. For the record, Jerry Brown does not support the T-Ridge proposal. As Attorney General, and the lawyer for the State Lands Commission, Brown’s staff recommended that the commission reject PXP’s project last year. As a candidate, Brown “does not believe off-shore drilling is the answer to our problems,” said campaign flack Sterling Clifford. *Update: Early fears of huge spill may be unfounded. ***Update III (4/27): Spill now 40 miles X 50 miles - so much for “unfounded” fears. ****Update IV (4/29): Send in the Marines. Weed whacker alert: In order to jump start the T-Ridge proposal, PXP needs to file a new application for a hearing before the lands commission and, so far, has not done so, SLC executive officer Paul Thayer told Calbuzz. Thayer said that the commission staff, analyzed a revised version of the agreement between PXP and the Environmental Defense Center several months ago. The commission rejected the original proposal last year and still has problems with it, despite some improvements, he said. Thayer also cited the “precedental value” of the existing 41-year old prohibition against any new drilling leases in state waters, which has been in force since the 1969 Santa Barbara spill. “California’s congressional delegation has made use of that,” in fighting against expansion of drilling in federal waters off the coast of California, he said. P.S. Kudos to KQED’s John Myers for getting Abel Maldonado on the record about his stance on T-Ridge this week, in advance of his confirmation vote for lieutenant governor, a post from which he gets a deciding vote on the project on the lands commission. 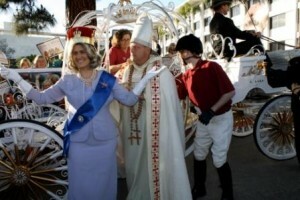 Live from the California Nurses Association: Queen Meg! First, our prayers for the missing oil platform workers and their families. Next, the platform disaster on Earth Day and subsequent sinking is a painful reminder that no matter what the oil companies say, the business of oil extraction will always be dirty and dangerous with significant risks. The two Santa Barbara groups who support the EDC/PXP proposal have failed to fully consider those risks and are willing to introduce that danger to the Santa Barbara coastline. The EDC/PXP proposal, should it be approved, will be the only location on the entire western seaboard (Washington, Oregon and California) that embraces and invites new offshore drilling in state waters. That is a distinction no one should welcome. While the CA coast is Obama off limits until 2017, a CA Ok for new drilling would be an “Open For Business” sign on our coast and threaten the entire state and beyond to new drilling. Janice Hahn and Gavin Newsom (candidates for Lt. Gov. and State Lands Commission vote) have said NO Way to New Drilling. Maldonado has come close to the expressing the same. The California coast is too special to be sold to the inside bidder. Lesson of the oil rig story – workers dying one at a time, not interesting. But workers dying in the double digits from a giant fireball is national news. People love explosions, mine, oil rig, chemical plant, whatever. I’m not sure the Bruckheimer Effect should be driving public policy decisions, but it obviously does. Earth to Calbuzz: You are ignoring your own scoop. And hello Pedro, why aren’t you calling a bribe a bribe? Guys, you can’t mention (twice) that “several environmental groups” have re-launched an effort to support PXP, while failing to remind readers of your own scoop — that a secret agreement promises to pad the pockets of at least one of those groups! Ave7-it gets better. The “new” deal (for me, it’s still the 2008 mess with a new coat of paint) provides that EDC will receive compensation during the “implementation” of the agreement. Guess what that means. Instead of the EDC + PXP relationship ending if the deal is approved, EDC can now continue to be of service to PXP beyond the desired OK at State Lands. So who can calculate how much $$ that will mean? Ridge is putting our coast in peril. Oil spills happen almost daily but the last 2 big ones, Australia and this latest one in the gulf, should make it clear to all that this is a bad idea. Unless, of course, you can get enough money out of it. Is that your alls educated opinions as transactional attorneys experienced in federal land lease agreements? This is an extremely complicated and legally technical issue, with all due respect to the fourth estate, a B.A. In journalism and a career on the politics beat doesn’t begin to qualify one to address this kind of legal issue. Ave7 and Ped ur cynicism is a petite mal of the petty middle class. I don’t think 100k would even cover costs for negotiating this kind of deal. Its chump change, 400 an hour in legal fees on a multimillion if not billion dollar deal. Peoples common sense is simply overwhelmed by the scale of business reality. While we have no dispute that off-shore oil drilling presents numerous unwanted risks to the environment and economy of our coast, most of this debate has missed the point of the EDC/PXP plan. The most important point to remember is that the drilling is already going on. The EDC plan will SHUT DOWN this drilling. That’s why our highly respected coastal protecting Congresswoman Lois Capps and many of our local environmental leaders strongly support this agreement. Under current law, oil companies can drill for oil as long as they want. Legally they cannot be forced to stop drilling. They can go on indefinitely-as long as there is oil in the ocean, they can drill for it. Put simply: there are currently (nor have there ever been) end dates to force these existing rigs to stop drilling. The recent tragedy in the Gulf of Mexico along with the announcement by Exxon that they have successfully completed an expanded slant drilling into Santa Barbara’s channel highlight the importance of the EDC plan. EXXON will certainly extend its drilling for decades, now that they’ve succeeded in expanding out 7 additional miles into a plentiful reserve. New technologies are going to extend the life of these platforms unless we are able to get them to AGREE to termination dates. Under the EDC plan, PXP Oil Company has agreed to an actual end date for their drilling operations off the coast of Santa Barbara. Such an agreement is unprecedented in California—or anywhere in the country, for that matter. Another important point to put into the mix is that PXP is ALREADY drilling the oil out of state waters. There is a process called “drainage” whereby the existing drilling drains oil from the outer portion of the reserve (which is in state water). PXP is seeking to reduce the expected 40 years it will take to complete that drainage for a shorter period of time in exchange for guaranteeing the removal of its oil drilling within 15 years. Keep in mind, NO NEW OIL PLATFORMS will be built under this agreement. Rather, this plan assures the END OF DRILLING and the DECOMMISSIONING OF PXP’s existing platforms. Further, the infrastructure that services these rigs will be dismantled, including two on-shore processing plants. Bottom line: Within a decade and a half, no further off-shore drilling will be possible from these facilities. While the EDC has fought successfully for years to keep new platforms from being built, we can’t force those already here to stop drilling. So we’ve got aging facilities continuing to drill and drill and extending their life-expectancies with new technologies that allow large swaths of previously unreachable reserves to be tapped out. Old platforms will continue to service this drilling, all the while aging and threatening the safety of it workers and the fragile oceans above which they reside. The EDC, Get Oil Out (GOO) and the Community Planning Associates (CPA) have been and continue to be the champions of the Coast of Central California. They have led virtually every major battle in the State of California to protect our coast from the ravages of oil drilling. This agreement with PXP continues that tradition and begins the END of OFFSHORE DRILLING off our beloved coast. With so much misinformation being circulated, I hope this clarifies the work EDC has done in forging this agreement and the value of this important ground-breaking effort. With the country apparently willing to allow the development of more and more oil rigs, our efforts to get rid of what is already there takes on greater and greater significance. Let’s start realizing that we need outside-the-box solutions here. The EDC and its clients, GOO and CPA, have been leading this battle for decades. THey’re continuing to lead it. When the EDC asked me to com on board in this effort, I was proud to do so. Having served six years in the California State Assembly leading the fight against off-shore oil driling, I am honored to be able to continue that battle with such well-respected and committed environmental leaders as Congresswoman Lois Capps, EDC Attorney Linda Krop and many, many other long-time environmental heroes. The message to Washington is clear: Santa Barbara is taking the lead in ending off-shore oil drilling. It’s time to plan for the day to come sooner rather than later, when clean, alternative energy will replace the dangerous and environmentally unsound practices of fossil fuels. That is the message, that is the EDC plan, that is the goal we must all be working to achieve. The spill from the Gulf Coast disaster is now a 20 x 20 mile oil slick, 40 miles offshore and 1/3 of the worlds oil spill ships are being deployed to try to contain the destruction. And the environmental consequences have just begun. The EDC/PXP proposal would be about 3 miles off the Santa Barbara coast, not far enough to give any of us any measure of comfort and a guarantee that a spill would stain our beaches and compromise our coastal economy. Ask the fishing boat operators how they feel about poisoning their livelihood. Ask hotel and motel owners in Santa Barbara how attractive an oil spill would be for their tourism business. Ask restaurant owners how they feel about the risk of new drilling 3 miles off the coast. Ask Attorney General Jerry Brown, Lt Governor candidates Janice Hahn, Gavin Newsom and Abel Maldonado how they feel about the threat of new offshore oil drilling in Santa Barbara. Ask the over 100 environmental organizations who oppose this scheme how they feel about the threat to our coast. If you think any platforms are going to be removed under the EDC/PXP plan you are mistaken. There is no requirement that the platforms be taken out. Don’t be misled by the use of the term “decommission”, it is not the same as “removal”. There is NOTHING in the deal that requires the platforms be removed. Linda Krop, after much prodding by then Lt. Gov Garamendi at the State Lands Commission hearing in 2009 reluctantly had to admit removal was not included in the deal. Approval of the EDC/PXP deal would make Santa Barbara the only location on the entire western seaboard (Washington, Oregon and California) where new offshore oil drilling in state waters would be allowed. Oregon just recently reinforced its opposition to new drilling in state waters. The real message about offshore oil drilling is that accidents will happen, that spills are inevitable and that no one who is promoting the 1st new drilling in California Sanctuary Act waters (EDC/PXP) can guarantee we won’t see men and women wearing hazmat suits spreading straw on the beaches to clean up the next spill. In 2008 we were told the then confidential EDC/PXP deal was ironclad, bulletproof, a dream come true. The Attorney General and State Lands Commission staff told us in January of 2009 that the deal was a bad one and could not be enforced. Once an investigative reporter leaked the agreement, we were all able to see for ourselves just bad it really was and who had a financial interest in seeing the deal approved. In 2010, we have the EDC/PXP 2.0 version-and again we are told, ironclad, bulletproof, a dream come true. But that’s just what we were told about the last version. Please give us some credit-our skepticism is legitimate and based on our past experience. Fool me once, shame on you, fool me twice, shame on me-and we won’t be fooled again. Oh, and unlike some proponents of the EDC/PXP deal posting on this page- I’m not getting a dime for my opinion. Despite having great respect for HBJ, she is missing the point. Of course it would be great if EDC (i.e. Linda Krop) could “SHUT DOWN” offshore oil derricks. Yet the very capitol letter highlight feature of EDC’s agreement – “An end to offshore oil drilling” – is exactly what every lawyer and every agency reviewing the agreements says they cannot legally achieve. Meanwhile this is getting old. EDC has been reduced to being a paid lobbyist for a Texas oil company, and now HBJ as well. PXP is taking them and us for a ride with an illusory ‘new and improved’ yet fatally flawed agreement and now we’re expected to be tortured by this again? Funny how EDC and PXP have apparently failed to do the single most important thing they needed to do with the ‘New’ agreement — get the federal government to agree to ‘end dates.’ And you know why that isn’t possible? Imagine having every coastal state want the same accommodations. Not possible, not with this Congress, perhaps not with any Congress. That anyone would support bringing new offshore oil drilling to the California coast (via the EDC/PXP debacle) defies belief. I too have great respect for HBJ and Rep. Capps, and their environmental credentials, but Pedro is absolutely right in pointing out that the agreement does not achieve what HBJ and some local environmentalists were led (or paid) to believe. The last time we had “iron-clad guarantees” from the Houston energy companies was 1996. And we all know how that turned out. The real solution to getting rid of the rigs will probably lie somewhere between accommodating additional drilling and a comprehensive shut-down and remove order. While I don’t possess the knowledge of this issue to suggest how such a plan would work, I do know that we can’t afford to get snookered (once again) by the blood-sucking lawyers in the Houston high rises. In the meantime, I would suggest to HBJ that as a board member of this environmental group, she revise the bylaws to prohibit the group from ever accepting money from an oil company (even if it is just a reimbursement of fees and expenses in a litigation settlement agreement). In the alternative, the group should have a policy of disclaiming the monetary agreement on their homepage, and mentioning it every time anyone from the group talks about the proposal. The HBJ argument that “more drilling can bring an end to drilling” sounds bad enough without the foul smell of a secret settlement pouring oil money into the environmental groups coffers contingent upon regulatory actions they must now advocate for. Pedro’s right: If the oil now lapping upon the gulf coast sands were instead arriving on California beaches, this debate would be over in one news cycle. Memo to EDC: Next time you need money, hold a bake sale. Smart change of heart by Schwarzenegger – and lucky for the state. Thanks for passing on the news, Ave7. Pause to think about this: while 210,000 gallons per day of crude are spilling 40 miles off the Gulf coast, creating what sometime today will become a larger environmental disaster than Valdez, the leader of this “environmental group” takes a call from the LA Times and denounces the end of a deal to EXPAND drilling 3 miles off California’s pristine coastline.